The Uttar Pradesh government's recently launched 'Mukhya Mantri Jan Arogya Abhiyan' is providing free medical cover to over 800,000 households which were not covered under the Ayushman Bharat-Pradhan Mantri Jan Arogya Yojana due inadvertent gaps in the Socio-Economic and Caste Census 2011 (SECC-2011) data. The chief minister's office had received complaints that some families that would have otherwise been eligible for coverage under the Pradhan Mantri Jan Arogya Yojana had nonetheless been left out of the SECC-2011 data, senior UP health officials told Business Standard on condition of anonymity. And hence the same eligibility criteria used to select households for Ayushman Bharat had been used to select the households being covered under the state's scheme. The eligibility criteria used are the deprivation conditions listed in the SECC. While households in rural areas must belong to one of the six listed deprivation criteria to be eligible, households in urban areas must belong to one of the eleven listed occupational categories. Further, some categories of households in rural areas are automatically included. The Ayushman Bharat scheme was launched across the country from September 25, 2018. The state's rural ministry had conducted its own survey at a previous date. 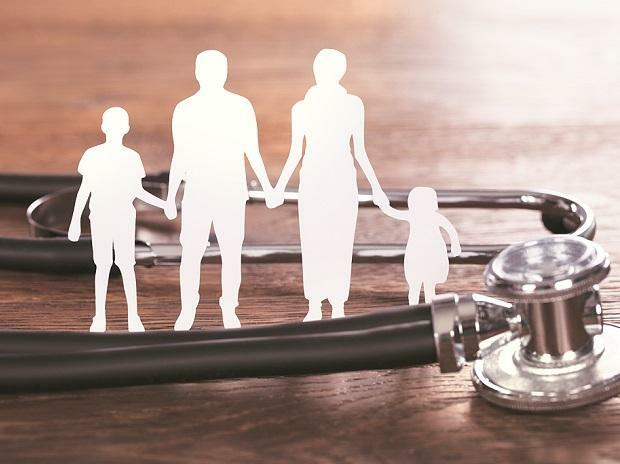 After Ayushman Bharat's launch, data from that survey, according to the officials, showed that around 1 million additional households, which had not been captured under SECC-2011, could be eligible for free medical cover. Business Standard could not independently access this survey. Of the total 32.4 million households in Uttar Pradesh, 11.8 million, or 36.35 per cent, households were selected for Ayushman Bharat, shows the Pradhan Mantri Jan Arogya Yojana official website. The scheme has been implemented on the basis of SECC-2011. After accounting for duplications between the SECC-2011 data and the state's survey, the final number arrived at was 854,440 families, they said. Starting March 1, 2019, these families are being provided the same coverage as they would have received under Ayushman Bharat -- a free medical cover of up to Rs 5 lakh per family per annum to beneficiaries, they added. "The SECC-2011 data is dated and many states, like Tamil Nadu and Andhra Pradesh, already provide better coverage than that provided by Ayushman Bharat," says Dr Sakthivel Selvaraj, the director of Health Economics, Financing and Policy at the Public Health Foundation of India. The Centre contributes 60 per cent of Ayushman Bharat's funding, while the state's share stands at 40 per cent. However, the Mukhya Mantri Jan Arogya Abhiyan is funded entirely by the state, said the officials. In February, the Uttar Pradesh government allocated Rs 111 crore for the scheme in the state's Annual Budget 2019-20. The UP government has also allocated Rs 1,298 crore for the Ayushman Bharat scheme.